Robust products designed for industrial hoses. Applications can be in harsh environments carrying aggressive chemicals. Shand manufacture a wide variety of swaging fittings. These are suitable for crimping, as well as internal and external swaging. The standard fittings are available in a range of materials. These materials all undergo Shand’s stringent QC procedures and have full traceability throughout the manufacture process. 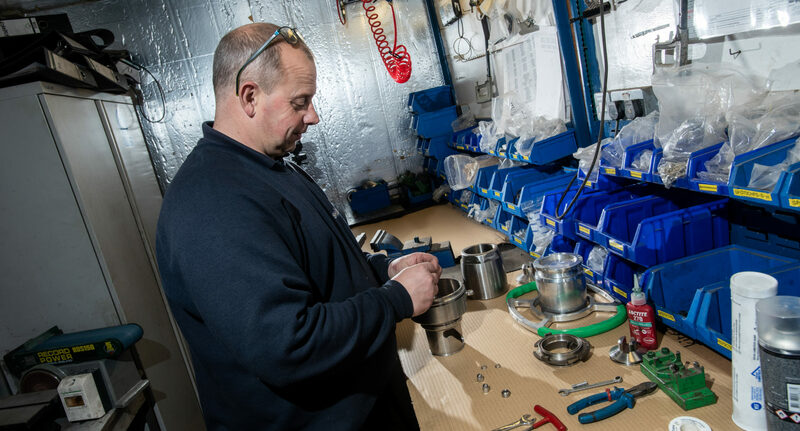 As well as having a range of swaged fittings, Shand’s in-house team of expert engineers are also able to manufacture proven swaging machines bespoke to customer requirements. The custom range includeds swaging machines and tooling for a range of pipe sizes from 1” to 12”, with fittings to suit these. Available as fixed in-house swaging machines, or portable for on-site swaging.